Our mission at Row Republic is to create Power. Power on the rower. Power in the room. Power in you. We pull and press united. We rip and row as one. As the blue lights shine on us we connect with the speed and strength journey that lies ahead. We come together as one because the boat moves faster when we all work together. Row Republic is a community, a class, an experience, a challenge, and whatever you need it to be. At Row Republic we are creating powerful bodies, souls, and people that bring out our best selves. Growing up in an athletic family, Joey was set to play football at Colby College, but a career-ending injury during his first game left the 275-pound athlete looking for a new fitness routine once football was no longer a viable option. Running hurt his knees and back, so younger sister Kristina, suggested he join the rowing team since she was a coxswain and captain of the men’s elite team at Community Rowing Inc. Combined with strength training, the new sport got Joey in the best shape of his life, losing 60 pounds and building muscle in 4 months. 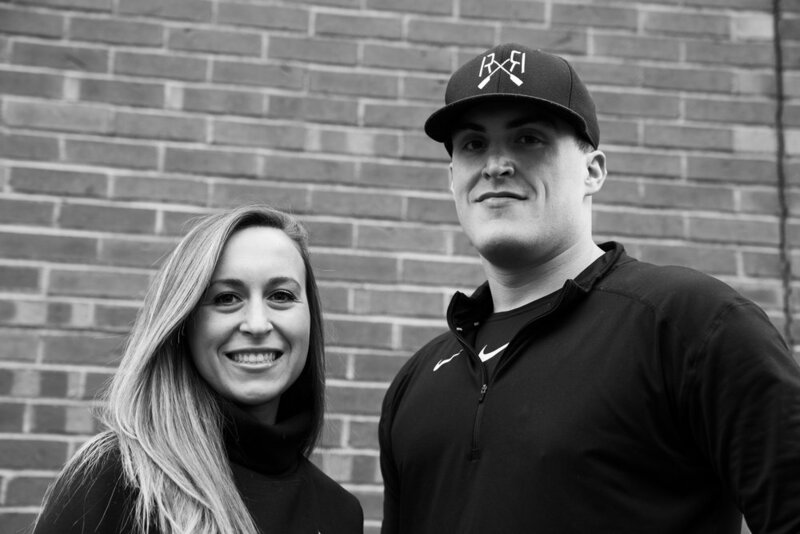 With their hospitality and athletic background, the brother-sister duo is ready to introduce Row Republic to a new wave of fitness enthusiasts in Boston.